We've got the new Pirelli Scorpion AT+ all terrain tyre in the studio for a look at its features. We take a look at the new Pirelli Scorpion AT+ in our studio. Pirelli reckons this tyre is bigger and badder than the previous Scorpion ATR, but what makes it better? Take a look as we give it a once over. Gudday, and welcome back to Tyre Review. Today in the warehouse, we have got the new Pirelli Scorpion AT Plus. Now this is the update from their previous all-terrain tyre, which was the Pirelli Scorpion ATR. So ATR is the old one, AT Plus is the new one. The ATR was actually a reasonably well-rated tyre on Tyre Review. It's actually got 4.1 out of 5 stars last time I checked. So this tyre has got to do pretty well to actually get better than that. Pirelli's pretty stoked with it obviously. It's a brand new tyre, so they're talking it up. But they're saying that it's really good off road, so good for rocky, sand, and general sort of off road terrain that's not full mud terrain sort of stuff. But they're also saying that it's really good for on road as well. But taking a closer look at the tyre, Pirelli's says they've designed this tyre to actually eject everything out the sides, so mud, rocks, water, the lot. They've designed it to be a more aggressive tyre that's actually going to clear itself out much better than the previous tyre. They also point out that it's got a newly reinforced carcass on the side here. The tread blocks here on the upper side will make a really aggressive ... or more aggressive. So I actually quite like the look the those, because they look great when you're in the mall, but they also might be more likely to bite into the terrain if, say, you're stuck in a rut or whatever off road. These tyres are also a three-peak mountain snowflake rated, which means that they're certified for conditions beyond what normal mud and snow tyres would be able to handle. So they're supposed to provide better traction on snow than most other tyres would do. And maybe this is actually something to look out for because, hey, I live in Tasmania and we get snow here every now and then. Even snow on the beaches. So if I get stuck in snow, then I want a tyre that's three-peak mountain snowflake rated, because it means that I'm more likely to not get stuck. I also really like the look of the tread pattern on this tyre. You can see that it's obviously quite widely spaced, so they've got good space here for ejecting rocks, mud, snow, etc. But they've also got a good continuous tread pattern. Whichever cross-section of the tyre you take, there is always a lot of tread on the road, which means that they're going to be nice and quiet. They're also going to offer a lot of on-road grip. And these sipes here are also supposed to give you extra grip when you're on the road as well, because they're supposed to lock together and provide really solid tread blocks. But also off road, help it to conform around rocks and that sort of stuff. So Pirelli says this is a really good tyre in off-road situations. It says it's a really good tyre in on-road situations. So have they been successful in making the unicorn of all-terrain tyres that's perfect in all worlds? We're going to find that out. This is actually going in on the Ford Ranger, Tyre Review Ford Ranger as our long-term test tyre, which means we're going to be running for more than 10,000 Ks. 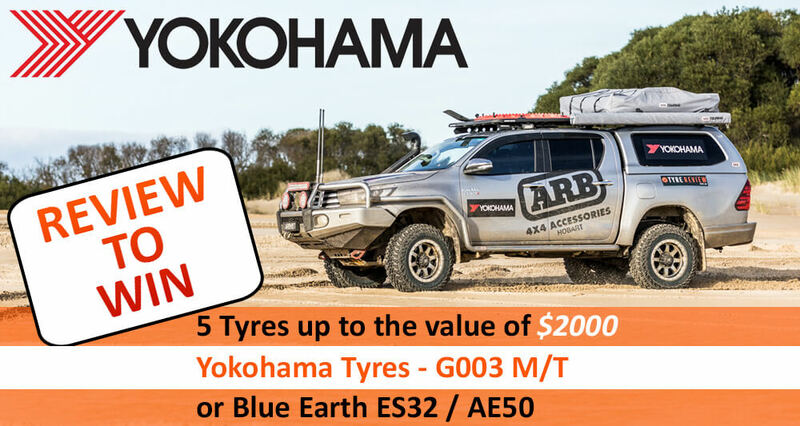 It's also one of the tyres that's participating in our Tyre Review winter adventure, which is going to be on the west coast of Tasmania this year, which we're really, really excited about. So we'll give it a hell of a thrashing during that and then report back to you about exactly what we thought about the tyre during that time. So again, 10,000 Ks, longterm test, but also the winter adventure. So stay tuned. We'll update you on how we went.